Pregnancy is, no doubt, a pleasant thing despite all those symptoms that are not so comfortable. And to keep your pregnancy healthy and smooth, there're many things to pay attention to, such as your diet, exercise, etc. However, stress, also one of the important things that pregnant women should watch out for, is often overlooked. During your pregnancy, not only the symptoms but also the preparation for the baby can lead to great stress both emotionally and physically. Can Stress During Pregnancy Hurt Your Baby? It is impossible to completely avoid stress during pregnancy, just like during other times in your life. However, constant stress can harm you and your baby. Any time someone is stressed, the body enters a “fight or flight” mode. This releases stress hormones. These hormones are helpful if you are in danger but can be harmful if they are constantly released. If your stress continues, these hormones can change the way your body reacts to stress and can lead to inflammation. This inflammation can lead to problems with your health during pregnancy as well as problems in your baby. Studies have shown that ongoing stress and difficulty dealing with stress can be associated with babies being born smaller and earlier than normal. In addition, chronic stress can change the development of babies’ brains and may lead to behavioral problems later in life. Although these connections are still being studied, it is very important for pregnant women to consider this and to learn to control their stress in pregnancy. It is very important to eat well during pregnancy. 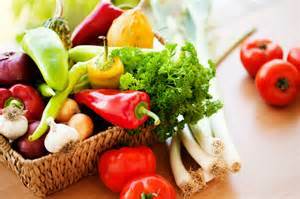 There are some key nutrients and minerals that can help improve your mood. Omega-3 fatty acids are found in seafood and can help to manage depression. You can include oily fish such as tuna, salmon, sardines, etc. in your diet. Tryptophan can also improve your mood by increasing melatonin and serotonin, which promote better sleep and the sense of well-being. It is found in turkey, chicken, fish, cheese, and nuts. Finally, dehydration can make you sluggish, so be sure that you are drinking six to eight glasses of fluid every day. Exercise is very helpful in improving your mood. Even if you did not exercise before pregnancy, starting gentle exercise during pregnancy is healthy. 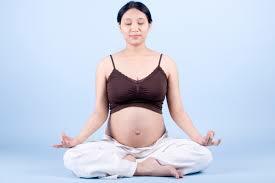 Swimming, yoga, and walking are very good exercises during pregnancy. Swimming is gentle on your joints. Yoga can help you to manage stress and anxiety. Try to walk at least 20 minutes every day. You should get up from your desk at work to walk around the office every once in a while. 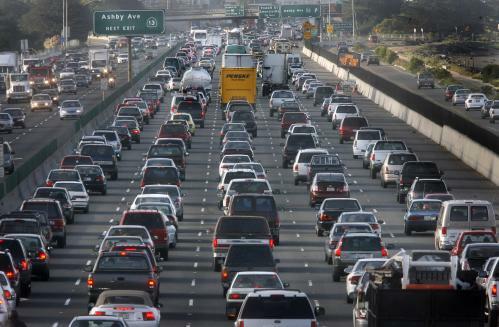 Commuting to work can be very stressful, especially if you have to deal with rush hour. Ask your boss if you can change your work hours to minimize commuting during rush hour, which can reduce stress during pregnancy. If you take the bus or subway, be sure to sit down during the trip. If no one offers you seat, it is okay to ask for one. It can be very helpful to be able to discuss your stress with someone else. The same goes for sharing your happiness in pregnancy. If you do not have the support of your partner, focus on spending time with other people in your life. 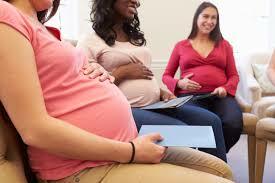 Sign up for a childbirth class. This will let you get to know other pregnant women. 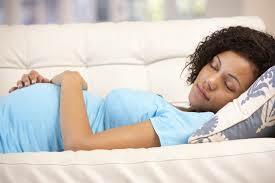 It will also teach you relaxation exercises that can help you manage your stress during pregnancy. Besides, childbirth classes will also teach you what to expect during labor and birth, which can help decrease your worry and stress about having the baby. Meditation can take some practice but once you catch on, it is very helpful to help you manage stress. Find a quiet spot, and sit down. Shut your eyes and focus on your breathing for about 10 minutes. Try to meditate every day at around the same time. It can be hard to find enough time to rest if you work or have other children to care for, but it is important to find time to sit down and put your feet up every day. Try to do this before you become too exhausted. If work is very stressful, talk to your boss about changing your work expectations. Consider asking your partner or family to help out around the house, or hire someone to help with the chores. A trip to the spa can be very relaxing. The environment is restful and the spa treatments can alleviate your stress during pregnancy. It is wonderful to take time for yourself. Be sure to ask which spa treatments are safe for pregnant women. You are spending so much time preparing for the arrival of your baby, but be sure to take time to focus on yourself too. Consider treating yourself by spending time with your friends, buying yourself a special outfit, or going away on a “babymoon” vacation with your partner. The cost of pregnancy and a new baby can be stressful for pregnant women. Make a list of everything that you need for the baby, and figure out which items you can borrow from friends and family. You can also buy second-hand baby items. There are many charities that can provide you with used items for the baby. 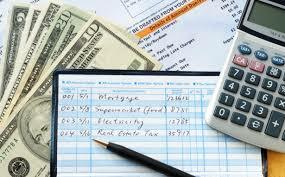 All of these options can help reduce stress about money during pregnancy. Why and When to Get Tetanus Injection During Pregnancy? What Makes You Keep Spitting During Pregnancy?